Some scientists, however, are highly skeptical that diet soft drinks, which contain artificial sweeteners, actually deliver on those marketing claims. And evidence seems is mounting that diet sodas and artificial sweeteners may actually promote weight gain. “The big controversy in this area is whether artificial sweeteners and diet beverages might be contributing to the obesity epidemic and a parallel diabetes epidemic, which is exactly what they’re supposed to help curb,” explained Vasanti Malik, a Harvard researcher who has studied diet soda. There is some contradictory evidence, however, which makes interpreting these findings tricky. A review of the research, published in 2014, found modest weight losses (0.8 kg) associated with substituting sugary drinks with low-calorie alternatives in higher quality randomized trials. “So there are some studies that are reporting that consuming diet beverages actually contributes to weight gain,” said Malik. “Others report consuming diet beverages contribute to an increased risk of diabetes. Others say that’s not the case, that these studies are flawed.” Malik predicts we’ll have firmer answers over the next few years, as more studies are done. Susan Swithers, a professor at Purdue University who has studied artificial sweeteners, agreed that the evidence is still murky. “Anybody who claims the consequences of diet soda for weight are clear is not understanding what the bulk of the literature actually says,” she told me. Part of that murkiness is due to the fact that people who drink diet beverages are fundamentally different somehow from those who don’t. Observational studies, like the new PLoS research, gathers data on what people are already doing, as opposed to running experiments and assigning one group to diet pop and another to sugary soda. Those who choose to drink diet pop over regular soda might do so, for instance, because they already have weight troubles — which would confound the results. Even so, scientists are increasingly questioning whether artificial sweeteners are as benign as they seem, but they’re not sure why diet soda might be so bad for your health. In the absence of a firm answer, there are several hypotheses floating around. 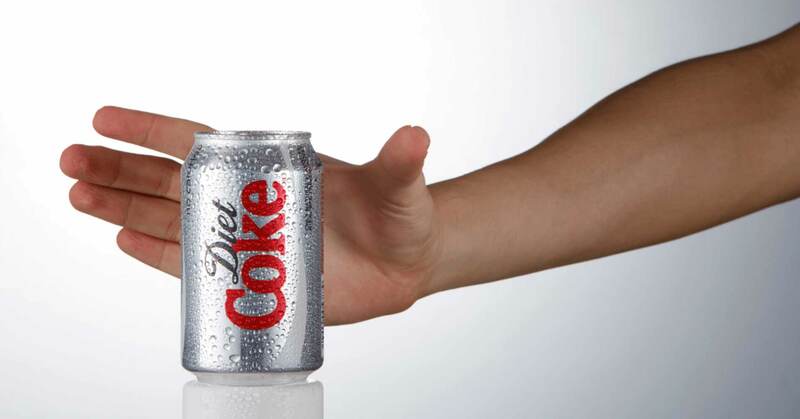 First, there’s the idea that the act of drinking diet soda might change people’s behaviors. Here’s how Stanford’s Christopher Gardner put it: “If you have a Diet Coke in the afternoon, and then it is dinnertime and you remember that you had a Diet Coke, you might reward yourself with a bowl of ice cream.” Capturing this compensation effect is really tough. But it could explain why studies show that diet soda drinkers gain weight and have related health issues. Or it may be something about the artificial sweeteners in diet sodas themselves. Some scientists have wondered whether these sweeteners affect our gut flora — the bacteria in our digestive tracts that help with metabolism (and many other critical bodily functions). Emerging evidence — albeit from studies only done on rodents — suggests the chemicals in artificial sweeteners cause disturbances in the gut microflora, which are associated with metabolic disorders like diabetes and obesity. In a new mice study, published in the journal Applied Physiology, Nutrition, and Metabolism, researchers at Massachusetts General Hospital found that aspartame blocks an enzyme called intestinal alkaline phosphatase that was previously shown to prevent obesity, diabetes, and metabolic syndrome. There’s also research that suggests fake sweeteners affect the brain in weird ways. Diet drinks seem to affect sugar cravings, for one thing. Experimental studies in humans have found that the taste of sweetness, whether real or artificial, can boost appetite and cause people to eat more. That’s not to say that loading up on beverages sweetened with real sugar is a better idea. The evidence is unequivocal: Sugar-filled beverages have been linked to Type 2 diabetes, stroke, heart disease, tooth decay, obesity, and, ultimately, premature death. They’re devoid of nutritional value, and deliver a mega dose of calories without any accompanying satiety. The evidence on artificially sweetened drinks and their health impact is less clear, but it points to potential trouble. So if you’re weaning yourself off regular soda, drinking a bit of diet soda for a short period might be better overall for your health and weight. If you’re not hooked on sugary drinks, stick to water — replacing sugar with fake stuff may not be doing your body any favors, and could actually be harmful. 1) How artificial sweeteners influence gut flora composition and metabolism. 2) How they drive behavioral & metabolic compensation. 3) Biomarkers to identify those at highest risk of sugar/replacer-induced weight gain and/or metabolic disruption. 1) Artificial sweetener effect on gut flora composition and metabolism. Since most artificial sweetener studies focus on their affect on body weight, important aspects about their metabolism remain under-studied. This is because they were long considered inert, passing through the GI tract, untouched, unused, little perturbed and little perturbing. Are such changed microbiota better at nutrient harvesting? Better at driving adipose tissue energy storage? These would help explain weight gain even without increased food intake. Are they more harmful to gut’s long-term health, making it more leaky triggering systemic inflammation? This would help explain the long-term harmful consequences such as metabolic syndrome and attendant increased risk of cardiovascular disease and type II diabetes. 2) Hypothesis: artificial sweeteners drive behavioral & metabolic compensation. Since the 1990s, Purdue University researcher Susan E. Swithers has pioneered animal model studies to explore how artificial sweeteners could uncouple sweet tastes from their metabolic consequences and thus distort ability to predict the latter. In other words, artificial sweeteners may alter how the brain processes rewards for sweet taste. Her reviews refer to several such experimental studies (30,31) by her group and others. Biomarkers are measurable, often quantifiable biological indicators of some conditions. Only when we have data from such studies will we be able to delve into genetic markers, specific gut microbiota composition, etc., that differentiate those most at risk from the harmful effects of artificial sweeteners, something we have no clue about at present.